J. 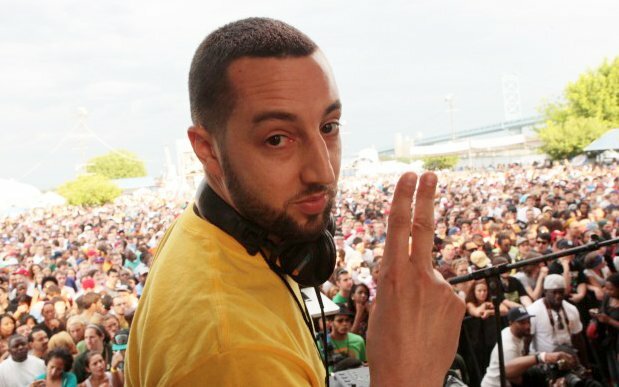 PERIOD (above) has been hailed as one of “the world’s top DJs” by The New York Times and recruited for remix and production work by Grammy-winners Kanye West, Mary J. Blige, John Legend, Lauryn Hill, Nas and The Roots. J. Period is one of the music industry’s most respected DJs/Remixers. The Santa Monica Museum of Art announced USC Annenberg Professor Josh Kun as its first “Resident Collector” for the museum’s “Collection of Ideas” series. Kun, director of the Popular Music Project, will present a series of performances/lectures on the art of the “Crossfader.” The crossfader is the toggle on the DJ mixer that allows you to move between the music on one input and the music on another. It allows you to mix without erasing, combine without destroying, to juggle and sustain difference. The mix is where collaboration and connection live. Pat Thomas, author of the newly published Listen, Whitey! The Sights and Sounds of Black Power, 1965-1975 discusses his book, which focuses on the ‘underground’ subversive music that influenced and was inspired by the Black Panther Party and similar organizations during the late 1960’s and early 1970’s. Dean Ernest J. Wilson welcomed Josh Kun, for a discussion of “The Music of El Otro Mexico.” Kun spoke about his research on the Regional Mexican music scene in California and what the songs of artists like Los Tigres del Norte, Joan Sebastian and others tell us about issues of immigration, cultural identity, transnational media and US-Mexico border politics. PMP director Josh Kun presents this entertaining and intriguing talk under the auspices of The Naftulin Family Lecture on Studies in Jewish Identity and The UCLA Center for Jewish Studies. Josh Kun, director of the Norman Lear Center’s Popular Music Project, hosted this talk by University of Delware Professor David Suisman, as part of the USC Annenberg School’s ongoing Research Colloquia series. Suisman will analyze the changes taking place in today’s musical culture in relation to the formation of the modern music industry at the dawn of the twentieth century. Suisman’s most recent book, Selling Sounds: The Commercial Revolution in American Music (Harvard University Press), explores the rise of music as big business and the creation of a radically new musical culture. Ann Powers, 2009 Artist in Residence at the Popular Music Project, was the featured speaker at the Tenth Annual USC Women in Higher Education Luncheon on Tuesday, March 10, sponsored by the Gender Studies Program and Center for Feminist Research at USC. Read her rocking presentation here. As a part of the Annenberg Research Seminar Series, the PMP presented a discussion led by new USC Thornton School Professor, Mina Yang on her newly published book entitled California Polyphony: Ethnic Voices, Musical Crossroads. What does it mean to be “Californian?” Yang’s book suggests an answer that lies at the intersection of musicology, cultural history, and politics. . Listen to the podcast! PMP director Josh Kun explored music, memory, and the politics of Jewish-American History in this original presentation. Kun is co-editor of the book series Refiguring American Music and his articles have appeared in numerous scholarly journals and anthologies, covering everything from the sound worlds of the Mexican border and the lost histories of Jewish mambo and Jewish jazz, to African-American and Latina/o musical exchange in Los Angeles. This discussion is made possible by Yale’s American Studies Program. For the past 12 years, Popular Music Project director and USC Annenberg professor Josh Kun has been collecting Jewish-American LPs that have been left to vanish on the margins of history. The albums tell stories that challenge some of the most commonly held notions of Jewish life in America. His book on the subject (written with Roger Bennett), And You Shall Know Us By The Trail Of Our Vinyl: The Jewish Past As Told By The Records We’ve Loved and Lost is now available. This special exhibition walkthrough was guided by PMP director Josh Kun, who stopped at displays of special interest to him and offered comments and insights to visitors. Featured speakers Jonathan Taplin, Josh Kun, Marcia Dawkins, and Ric Whitney joined Annenberg faculty and students to reinvent their playlists and cover topics from hip-hop to folk, from funk to salsa. Karen Tongson (USC Assistant Professor of English and Gender Studies) and the performance/theater group Butchlalis de Panochtitlan spoke about and offered samples of 1980s East LA punk/new wave music. Listen to the podcast! Explore the edges of Jewish arts, ideas and beliefs at a new conversation series organized by PMP Director Josh Kun. The first in the series features fiction writer Aimee Bender and religion Professor Nathaniel Deutsch exploring the murky, mysterious, mystical, strange, terrifying, blissful realm of visions, dreams, and nightmares, where monsters and ghosts run free. There will be dybbuks. There will be dead souls, fantastical creatures and impossible worlds. Gayle Wald, author of the new biography Shout, Sister, Shout: The Untold Story of Rock and Roll Trailblazer Sister Rosetta Tharpe (Beacon, 2007), offered a thrilling and vital perspective on Sister Rosetta’s life, career and musical influence. This event was co-sponsored by USC’s Program in African-American Studies. Listen to the podcast!